OSWEGO, NY (April 23, 2018) – The weather has taken a turn for the better and the northeast Small Block Supermodified lid lifter is on as scheduled as the Lighthouse Lanes SBS Series 30-lap ‘May Meltdown’ Spring Championship event is set to take the green flag at the Evans Mills Speedway on Saturday, May 12. Several Oswego Speedway regulars have already confirmed as entries into the $600 to win contest which will mark the first event under the lights in the history of the tour as the Evans Mills Speedway moves to Saturday night racing in 2018. The Oswego Speedway season doesn’t begin until two weeks later when the Small Blocks will contest in a 35-lap Tony White Memorial main event on Saturday, May 26, but several drivers are already set to go in support of the Lighthouse Lanes SBS Series. Competitors that have already verified their intent to compete with the tour in its Evans Mills Opener include returning campaigner Anthony Losurdo in the debut of his brand new No. 1 FFB Chassis. Losurdo will drive for Missile Motorsports this season and is the youngest feature winner in Oswego Speedway’s rich history. Veteran James Babcock will return to driving duties at Evans Mills this year after putting series president Mike Bruce in his No. 15 for last September’s Fall Brawl while Bruce, a former Evans Mills winner, will be back in his own No. 22 machine. Oswego Rookie of the Year contenders Joshua Sokolic and Stephen Flack have each expressed interest in the Evans Mills event, as has another returning driver; 2011 Oswego SBS Rookie of the Year David LaTulip. North Country campaigners Cameron Black in the No. 23 and Jesse Bearup in the Route 37 Building Supply car are each expected to join the fray as these two drivers will each make the short trip to one of their hometown tracks. Tim Proud will again hop behind the wheel of the Step One Creative No. 54 Small Block driven on a regular basis by his son as Proud aims to be a threat for victory once again at Evans Mills. Back to back Oswego champion and winner of last year’s 50-lap event at Evans Mills, Dave Cliff has confirmed that he intends to be in the field once again with the Barbeau Racing No. 50 come May 12. Brad Haynes will be back in his family owned No. 86 Hedger Chassis for the May Meltdown after a promising fifth place run last fall while Ron Pratt will drive his No. 88 which was purchased from Haynes Racing just two seasons ago. A bit of a driving shakeup has occurred at G.O. Premiere Motorsports as Flack will move to the No. 32, which is the former Alex McRae 14, while the No. 90 driven regularly by Greg O’Connor will remain in the shop prior to the Oswego Opener. O’Connor will instead pilot the No. 89 machine driven last season by ‘17 Oswego Rookie of the Year Tony Pisa. Barry Kingsley won a heat race last September at Evans Mills and is always quick at the Jefferson County oval. The Oswego Speedway veteran and former feature winner will be back with his beautiful No. 91 Hedger Chassis. Track owner and promoter Vern LaFave is a former Supermodified driver and he will once again bring out his older style No. 97 Small Block Super to compete with the field as well. LaFave also runs in the Modified and Legend divisions weekly at the ‘Mills’ while also fulfilling his commitments as promoter. There are several other teams that have expressed interest in the May Meltdown, but those drivers have yet to confirm their plans to race with series management. All 2018 Lighthouse Lanes SBS Series teams are reminded that the 2018-2019 Oswego Speedway rulebook will be strictly enforced on the tour for all events with an exception being made regarding the tire rule on May 12. Teams may use any leftover Pathfinder Bank SBS legal tire from last year’s Oswego rulebook during the ‘May Meltdown’ event at Evans Mills, but following the series opener, all tires used on cars in the Lighthouse Lanes SBS Series must be the 2018-2019 10” 1057 compound. The Oswego Speedway rulebook will be strictly enforced in its entirety at all series events and Oswego tech, officials, and safety personnel will be present. Evans Mills Speedway gates are set to open on 3:30pm on Saturday, May 12 before hot laps take to the track at 4:30pm. Racing will get the green promptly at 6pm. Joining the Small Block Supers on the race card will be the Mills Modifieds, Legends, Bandoleros, Thunder Stocks, and the Sport Compact division. More information is posted at EvansMillsSpeedway.com or you can call the track at (315)-221-9180. 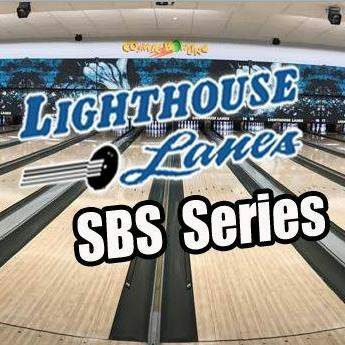 For the latest updates and information on the Lighthouse Lanes SBS Series, be sure to visit online at LighthouseLanesSBSSeries.com. You can also FOLLOW on Twitter @LHLSBSupers or LIKE on Facebook at Facebook.com/LighthouseLanesSBS. About the Lighthouse Lanes SBS Series: The Lighthouse Lanes Small Block Supermodified Series was formed in March 2017 by drivers Mike Bruce and Camden Proud in association with the Evans Mills and Spencer Speedways. Set to be a five race venture in 2018, the series is made possible by the support of Lighthouse Lanes, Route 37 Building Supply, Cam’s NY Pizzeria, as well as the dedicated team owners, drivers, and fans of Small Block Supermodified racing.